WPP-owned Wunderman has partnered with incubator and accelerator Founders Factory, granting the former's clients early access to promising start-ups. In return, Founders Factory will have access to Wunderman's marketing expertise as well as the agency's client base. Wunderman is already working with one start-up on its commercial model. "Wunderman and their clients will not only provide expert marketing advice but also numerous commercial opportunities for our start-ups," Henry Lane Fox, Founders Factory chief executive, said. Founders Factory is backed by six blue-chip investors, who are Founders Factory’s exclusive global partners – L’Oréal, Aviva, easyJet, China’s CSC Group, Holtzbrinck and Guardian Media Group. These investors work with Founders Factory to identify opportunities for start-ups and ideas for new companies within their respective vertical sectors of beauty, fintech, travel, AI, education and media. The incubator aims to create and scale 200 new technology start-ups in the next five years. It does so by providing £30k of capital investment, tailored mentoring and business support. "Growth is our clients’ top priority and that depends on innovation. Now we can help them innovate, not just in their digital marketing, but by working with Founders Factory's global ecosystem of promising young startups and, in return, help these startups build their businesses for the future," Mark Read, Wunderman’s global chief executive, said. 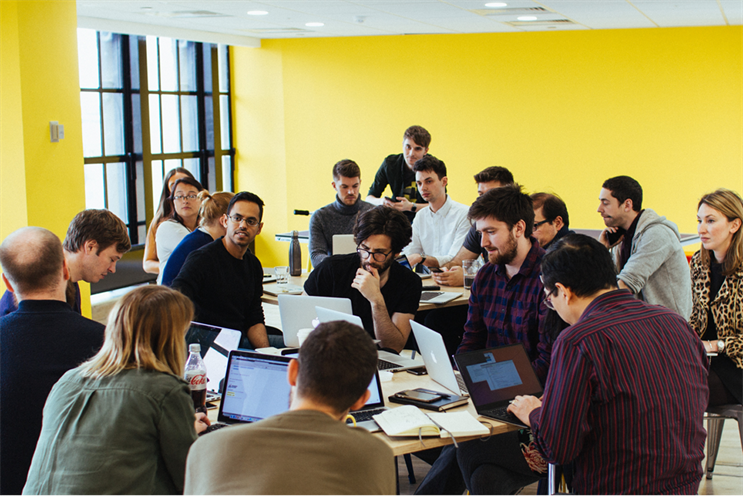 Another initiative Wunderman will conduct with Founders Factory will be to run workshops with clients to identify problems and the challenges that need solving, Chris Daplyn, managing director at Wunderman UK, said.